The SBA All-Stars challenge all wanna be ballers and teams in any city, town, state, or country in the world. If you think that your team can compete with the best, then stake your reputation on your game! Are you really ready to accept the challenge against the raw, un-cut, hip-hop subculture of the SBA's professional "streetball" magicians? We Got Our 5 Get Yours! The Street Basketball Association is an independent, professional association of individual players and teams throughout the U.S. established to promote and showcase their execution of "street ball." The SBA's mission is to put local legends and talented "street ballers" center stage in an organized, competitive environment to entertain fans throughout the U.S. and the world. The SBA Sports Marketing and Entertainment Group have developed opportunities to leverage the explosive growth of basketball by combining basketball and entertainment introducing the Street Basketball Association to the world. The SBA has created a global basketball infrastructure, working at the grass roots level helping to further promote the sport of basketball and to increase additional awareness for positive community organizations. The SBA is dedicated to showcasing quality basketball, providing entertainment to its audiences, and administering expert instruction and overall development, simply legitimizing the explosive international growth and popularity of the sport of basketball globally to its players and fans. The SBA becomes an excellent vehicle to initiate marketing campaigns to develop leadership, sportsmanship, business and educational opportunities, and athletic and business excellence. With the SBA, our partners align themselves with the explosive growth of street ball working with a company that has proven to show how sports develops character, teamwork, responsibility and unity amongst participants as well as gives renewed energy and a sense of hope to the youth. The SBA has produced the The Show all over the world. 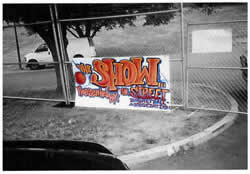 “The Show” will further promote the authenticity surrounding the best professional SBA Street Ball All-stars recreating the atmosphere similar to the legendary Rucker Park in New York City and the Urban Coalition in Washington, D.C. The Show combines the SBA’s electric brand of street ball with hip-hop music to create a model unlike any other basketball entertainment product. When an audience is added to this model it becomes combustible, exploding into a creative, enthusiastic atmosphere. Even though The Show will be an entertainment exhibition, it will demonstrate the authenticity of street ball. The game announcer and the DJ are very important parts of The Show. The announcer will create a relationship with the audience so that they feel as if they are actually part of the game. They will grab the audience and take them along for the fantastic ride that is The Show. The DJ is also very valuable, hyping the audience with "hot" tracks is a critical component to The Show. In an effort to further enhance the SBA experience the SBA will feature the SBA Show and Expo, a one-of-a kind fan interactive entertainment attraction and marketing vehicle that consists of slam-dunking and free-style dribbling demonstrations, shooting contests, fan interactive clinics, street ball show routines, autograph and photo sessions with the SBA All-stars, and the turn-key SBA Show Exhibition featuring the SBA All-Stars. Promoters and marketers can bring The Show to your city as a great tool to reach a large audience when promoting a product, event, and/or service. The SBA ensures premium visibility and high-quality encounters with target consumers from both the suburban, urban, and global markets utilizing promotional SBA and sponsor product giveaways (T-shirts/Hats/Head-bands), providing information booths for the SBA and Sponsors, signage with banners and posters, marketing and promotions prior to each event, additional invited professional athletes, entertainers, and celebrities, national, regional, and local marketing (Internet, Print, Radio, and Television), and video and television production. 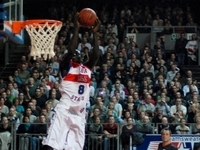 The SBA has spearheaded the movement of bringing the fusion of sports, entertainment, music, and overall community development to many regions of the world; as the SBA Management Team continues to be utilized as a valuable asset for top businesses, organizations, and teams in the world seeking overall basketball/street basketball consultation and support. 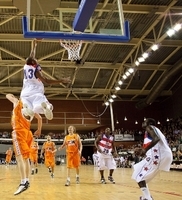 With the combination of basketball being one of the most followed and supported sports throughout the world and street ball being the hottest basketball product, the SBA ensures a successful and profitable event maximizing visibility/branding and product distribution through sponsorship, marketing, and production of the SBA Show. The SBA has created strategic alliances, partnered, produced, and contracted with an extensive list of major corporations, countries, events, and organizations. The SBA gives the above mentioned organizations a valuable one of kind sports marketing vehicle to educate and entertain basketball fans and aspiring young athletes who have fallen in love with the sport of basketball in an interactive, fun, and creative environment.as well as increase consumer awareness and create positive public relations for their products, services, and corporate mission.